Kopavogur is home to the ‘stairway to heaven” and other challenging hills. It is also full of great running paths. Kopavogur (literally “Seal pup bay”) is the second largest city in Iceland. It feels more like a neighbourhood of Reykjavik than a separate town as they lie so close together. It is very easy and to run from Reykjavik to its neighbouring towns and back, or vice verse. 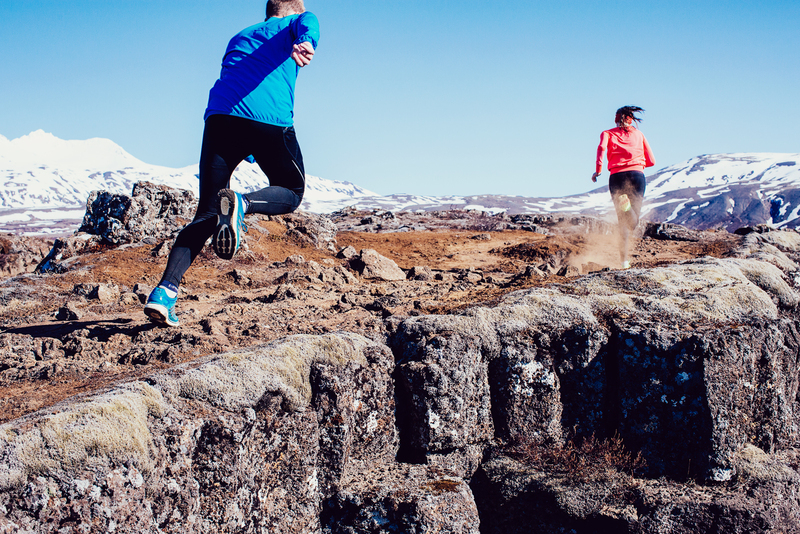 Here are some great options for running in Kopavogur. The Kársnes area is the oldest part of town. It has a path all along the seaside, around 4 km of lovely ocean views. This is a very popular path with walkers, runners and cyclists. If you want to run a 6km circle it is very easy to cross the peninsula although it involves running or walking up a fairly steep hill. However, the church on top of the hill, Kopavogskirkja, is one of the most picturesque in Iceland and the panoramic view over the greater Reykjavik area is amazing. Kopavogur valley (Kópavogsdalur) is a very popular route as well. The narrow valley is free from houses and streets. It has a small pond with ducks and other birdlife, the Kopavogur creek, and an interesting “hidden” garden in Hliðarhvammur. The “stairway to heaven” is a pathway with 216 steps from the bottom of Kopavogur valley almost the whole way to the top. It is used a lot for fitness purposes, by running groups, local gyms and just about everybody else. From the top of the stairs it is easy to reach Vigholl which has some great views and a plate pointing out the scenery. At the top of the stairs you can also take a left turn and the path will take you back to Kopavogur valley. Fossvogsdalur is usually considered part of Reykjavik but actually Kopavogur is on one side of it, the border lying somewhere in the middle of the valley and some nice paths on the Kopavogur side! A great 10K circle is to run through Fossvogsdalur valley and Kopavogur valley. The swimming pool Kópavogslaug is a great starting point for these routes. In the hilly east Kopavogur, the newest part of town, there is a great running path along the border between Reykjavik and Kopavogur. It is easy to reach from the blossoming Breidholt area in Reykjavik and from the Salalaug swimming pool in Kopavogur. A run there can easily be joined with the Kopavogur valley, or if you want to hit the trails the Vifilsstadir Lake is less than 2km away. And finally, from Kopavogur it is easy to reach the Heidmork trails and the towns of Gardabær and Hafnarfjordur, more on that later!